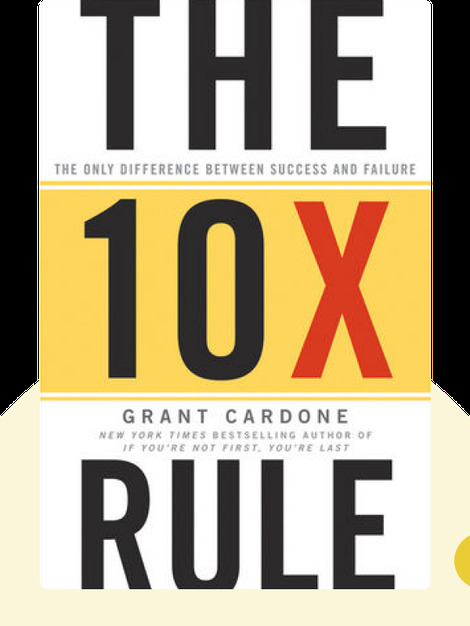 The 10X Rule (2011) provides clear indications for how to best plan your road to success. These blinks will teach you why this little-known strategy works and how to put it into action, while also giving you the tools you need to become more successful than you ever thought possible. Grant Cardone is a sales training expert who works with companies worldwide and owns three companies of his own. The 10X Rule is his third best-selling book. 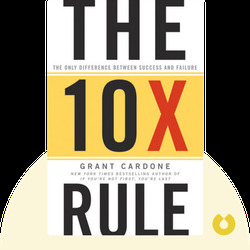 © Grant Cardone: The 10X Rule copyright 2011, John Wiley & Sons Inc. Used by permission of John Wiley & Sons Inc. and shall not be made available to any unauthorized third parties.